Harcourt Chambers has signed a three year contract with (Advanced) for the provision of its market leading chambers management solution, MLC. Harcourt chambers has chosen to implement MLC as a fully hosted solution and Advanced will also provide complete hardware and technical support as part of the agreement. Harcourt Chambers is a leading family law set, recommended for both child law and family finance, and has a strong reputation in civil litigation. Based in the Temple and in Oxford, the firm is home to three well-known family silks Frances Judd QC, John Vater QC and Nicholas Goodwin QC and 42 junior barristers, many of whom are acknowledged as leading practitioners in their fields. 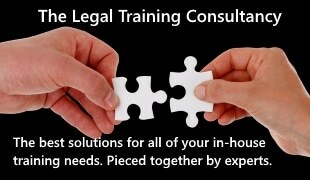 Its mission is to provide the highest quality, most cost efficient and easily accessible legal advice, representation and service to individuals, organisations and professional clients. Having successfully used Advanced’s Meridian Law system, Harcourt Chambers was keen to extend the relationship when considering the implementation of a new chambers management solution. Following a lengthy due diligence process, Advanced was selected due to being able to provide MLC the associated hardware and was ideally positioned as trusted advisors. MLC is Advanced’s flagship solution for monitoring business performance, ensuring best practice and achieving the highest levels of customer service. Harcourt Chambers is confident that it is investing in a solution which offers significant efficiency benefits now, but will be developed in line with future market changes to offer a viable long term solution. Utilising MLC as a hosted solution offers the flexibility of a robust and cost effective solution, removing the need for in-house servers and maintenance, and offering it remote 24/7 access to its data. Doug Hargrove, managing director, Advanced Legal comments: “MLC will enable Harcourt Chambers to take advantage of the solution’s innovative features to maximise efficiency and offer its clients the highest standards of service.